I love to shop. I’m the type of person who considers it a good day when I come back from a shopping trip heavy with bags and having found just the right thing. I grew up with the motto of, “when the going gets tough, the tough go shopping” and I’m a big believer in it. A good shopping trip can completely turn my mood around. Except when I’m pregnant. I hate shopping when I’m pregnant. I hate the overly helpful sales people. I hate the faux bump that they try to make you wear in order to give you an idea of how big you are going to get. I hate the dressing room full of mirrors forcing me to look at myself from angles I’ve been glad that I could not see myself at. I hate it. When I was pregnant with Jack I was forced to shop. I had no clothes, no friends to borrow from because most of my friends were also pregnant and I was sadly unaware of all the online maternity shopping options and I didn’t know what worked on me. This time I’ve mostly avoided shopping for maternity clothes thanks to generous friends, online shopping and my favorite a maternity stitch fix (use my affiliate link if you decide to try stitch fix ). Like a regular stitch fix with a maternity stitch fix, you enter all of your information for you stylist: your fashion likes, dislikes, and your due date. You can then leave a note to your stylist about what you are looking for, I use this space to put what I’m looking for as well as a note about what I’m not looking for. Like I’m very picky about maternity pants, I hate those full panels that come up over your belly so I note that on my stitch fix. You also have the option to link your pinterest account to your profile which I really suggest you do, not just for a maternity stitch fix but for a regular stitch fix. I created a maternity style board and have been adding to it since I started needing maternity clothes. Though I used my regular fashion pinterest board for this fix, for my next one I used the maternity board, and I’m curious to see the difference. I got my Maternity Stitch Fix at the end of my first trimester, I figured it was a good reward for getting through the first 13 weeks. I had a couple of requests when I made my fix. As I mentioned before I wanted no full belly panels,I also wanted clothes that were comfortable and versatile. I wanted a good pair of maternity skinny jeans (there’s an oxymoron) and I wanted the clothes to be things I could wear after the baby. I get it I’m demanding and picky, but when you’re carrying a baby I think you have the right to be. 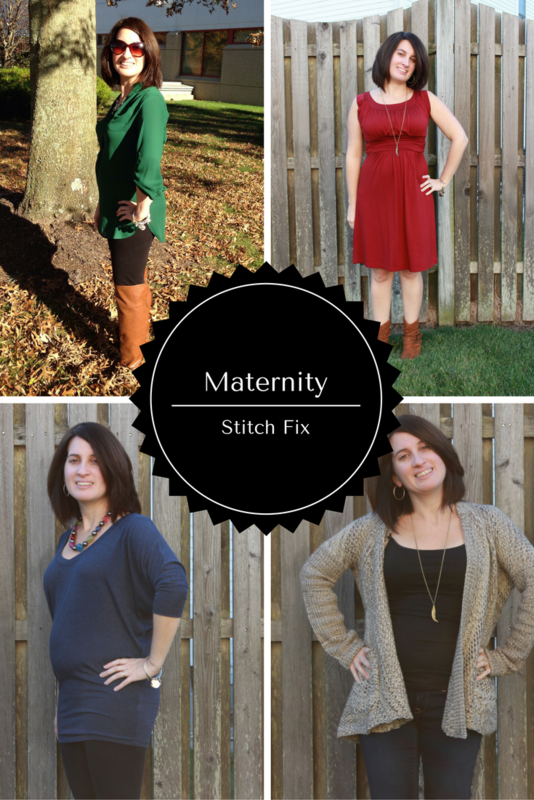 And I think by being a bit demanding I got the perfect maternity stitch fix. Pregnant or not, I would love this cardigan. It’s soft, comfortable and versatile. I instantly knew I was keeping it and I’ve gotten compliments every time I wear it. You can’t really see it in the picture but the sweater is a mixture of browns and beige and has a few different stitch patterns. The Jeans I’m wearing are the Mavi Kera Maternity Skinny Jean , which are very soft and stretchy and have a side panel. They fit great. And I might have jumped up and down with excitement that they made my but look good. I kept both items and still am wearing them regularly. I might live in that sweater. I love the color of this dress and that the cut is really easy to wear. I kept this dress but I haven’t gotten much wear out of it mostly because I don’t get dressed up often and I’m not sure what shoes to wear with it since, it’s a little chilly for ankle boots and the dress is longer than I would normally buy. Now that I’m further along I have to see how this fits again. The few times I have worn this, I have loved how effortless and comfortable it is. This top is more like a sweater and will easily carry me through my pregnancy and beyond. While it might be a bit more fitted these days it is definitely still drapey like a dolman top should be. I like this color and I just got some grey tights which I’ve been wanting to pair this top with. This has been my go-to outfit for work and I pair it with my grey over-the-knee boots and always get lots of compliments on it. It’s an easy top to dress up or down which is perfect for my lifestyle. 41hawthorn – Colibri Solid Tab Sleeve Blouse. This top is not my style at all even though I love this style, I usually hate how these tops look on me. I have a friend who wears this style of top frequently and she rocks them, they look awesome on her, but on me they have always been sort of “eh”. However I love this top and again it’s brought in its share of compliments. This top has been my go-to for when I want to feel a bit more dressed up and professional. 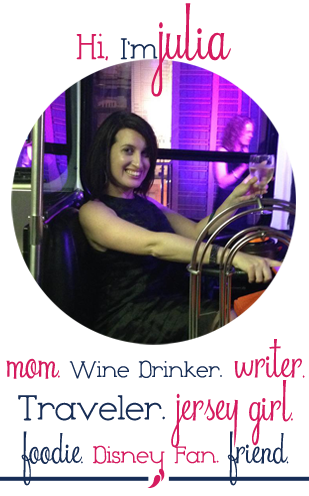 I’ve worn it to a few work events and out to dinner with the hubs. I loved how early on it was great at hiding my bump. Now the fit is a bit more snug. I wore it about 2 weeks ago and it still looked great. I’m so glad I kept this. Obviously all of these pictures were take a few weeks ago at about 15 weeks pregnant, I’m now 25 weeks pregnant and they all still fit. I was thrilled with my maternity stitch fix, I may have jumped up and down in my room a few times when it arrived. I was so happy to have clothes that fit well and made me feel pretty, something that I find to be very difficult when I’m pregnant. My maternity stitch fix was perfect and I can’t wait for my next one to shows up later this week.